ACO was started in the beginning of the 1980’s, and toured all over Denmark, Sweden, Finland and The US. From 1998 to 2011, the trio was resting while the band members traveled all over the world, each with their own very different projects. 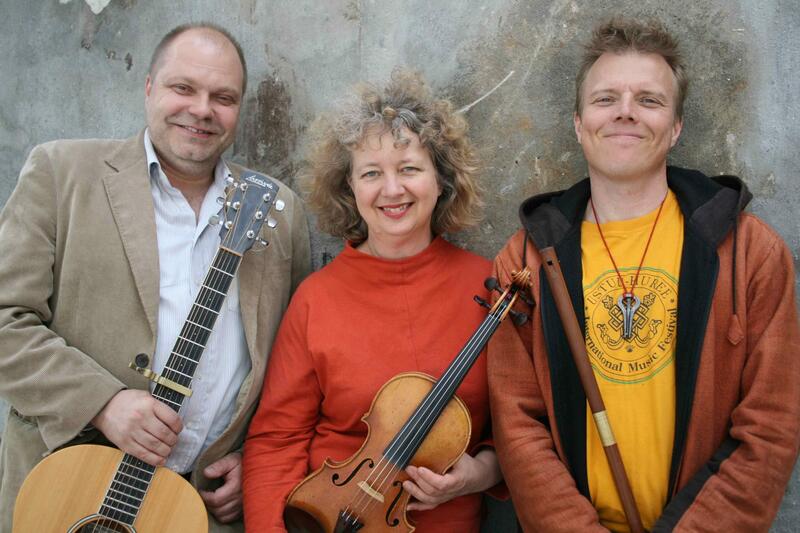 In 2012 ACO did celebrate their 20 years anniversary in the current constellation, which is the American violinist, Ruhie Dornfeld, the Finnish jaws harp, flute and bass player, Tapani Varis, and me myself on guitar and vocals. The trio started out performing our own blend of traditional and newly composed music, but are now concentrating on our own compositions. We released our fourth album, this one with all new music, in 2012, followed by touring in Denmark, Germany and Finland. 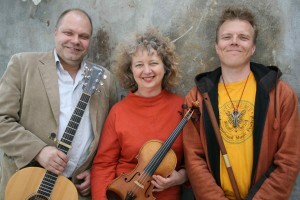 The trio performed at Haapavesi Folk Festival in Finland in the summer 2014.